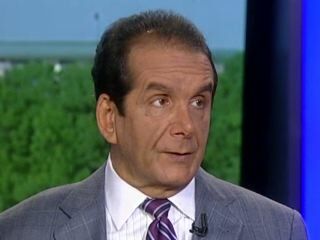 Krauthammer: Obama Is "Clueless And, For Now, Irrelevant"
Charles Krauthammer: "We just heard that soundbite from Jay Carney in which he said, 'The president will have specific ideas on debt reduction.' Will have? This is after the government announced today that the deficit for this fiscal year -- we're only 10 months in, two months to go -- already has exceeded a trillion dollars. After '09 and '10, you add this year's deficit -- here's a president who has run up $4 trillion in debt in less than three years, and he still will 'later' have ideas on reducing the debt. He is clueless and, for now, irrelevant."